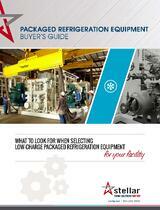 Why should you consider low-charge packaged refrigeration equipment? How does packaged refrigeration equipment work? Which system is best for your facility? How can you facilitate an efficient installation process?